Don Godke's Downdraft for Green Mountain Grills helps hold more smoke and heat in the grilling chamber, reduces wood pellet consumption, and ensures consistent temperatures across the grill. Green Mountain Grills blue smoker tubes are the biggest thing to hit wood pellet grilling for years. More information coming from Sioux Falls Grills March 21! The best rack system for wood pellet grills, the Bull Rack allows grillers to cook, smoke, dry, and cure more food like a professional. Use less wood grilling pellets to cook more food! This form fitting Green Mountain Grills grill cover keeps your wood pellet grill safe and dry during South Dakota weather extremes. 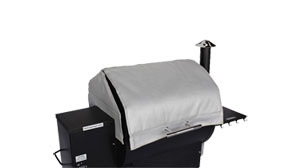 A Green Mountain Grills thermal grill blanket keeps it hot in the winter, and cuts pellet usage by up to 50%. 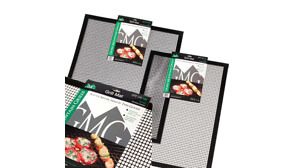 Sioux Falls Grills has teflon-coated, fiberglass fabric grilling mats. These non-stick cooking mats are safe up to 450 degrees.